A Chapter 7 bankruptcy is the easiest and cheapest form of consumer bankruptcy. In most cases, people who file Chapter 7 discharge a lot of debt while keeping all their property and the whole process lasts just over three months. Because most debt is simply wiped out without any payment in a Chapter 7, people with higher than average incomes could be disqualified from filing one. Chapter 7 debtors must fill out a “means test” form to show they are not abusing the bankruptcy system. The means test form only looks at the last six months of income. If the last six months of income is higher than the average income for the debtor’s household size and state of residence, then the rest of the means test form must be filled out. The means test form deducts monthly expenses from the average monthly income of the debtor. Some of these expenses, such as day care and mortgage payments, are the debtor’s actual expense. Some, such as food, clothes and rent, are set by the IRS tax debt repayment regulations. If there is money left after deducting these expenses, there is a presumption that the debtor is abusing the bankruptcy system by filing a Chapter 7. It is possible to rebut the presumption by claiming special circumstances. Needless to say, there are many examples when the last six months of income do not tell the entire story of a debtor’s situation. If creditors receive any payment in a Chapter 7, it is through the liquidation of assets – property is sold to pay creditors. Most Chapter 7 debtors do not lose any property during bankruptcy because bankruptcy law provides exemptions liquidation for creditors. The exemptions are fairly generous, especially in Washington where a debtor can use either state law or federal law exemptions. The purpose of exemptions is to provide the debtor with an effective fresh start by allowing the debtor to keep the property necessary rebuild his or her future. 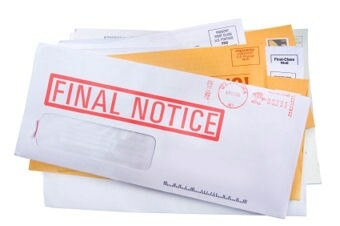 As soon as the bankruptcy is filed, all debt collection has to stop. A trustee is appointed to administer the case. Most debtors only have to attend one hearing called a "Meeting of Creditors," which is held about a month after the case is filed. Creditors rarely appear at this hearing. The purpose of the hearing is for the trustee to examine the documents filed in the bankruptcy and follow up with the debtor, asking a series of questions under oath to make sure the law is being followed and to investigate assets. In most Chapter 7s, this is the only hearing in the case. If a debtor is making payments on a house or car, this property can be kept by continuing to make the payments. If the debtor does not want to keep the property, he or she can stop making the payments and discharge the debt. The creditor will want the debtor to sign a “reaffirmation agreement”, which takes the debt outside of bankruptcy. A car company can repossess a car after bankruptcy even if the debtor is current on the payments if no reaffirmation agreement is filed. Many car finance companies will not pursue this option. Because a reaffirmation agreement puts the risk of default back on the debtor, signing one is an option that should be carefully discussed with an attorney.